The Personality chair is designed to support the many ways people work and sit. Its simple user adjustments offer outstanding ergonomic support. Personalize Personality with various color and storage options. Personality is a versatile chair that supports the different ways people sit and work during the day. 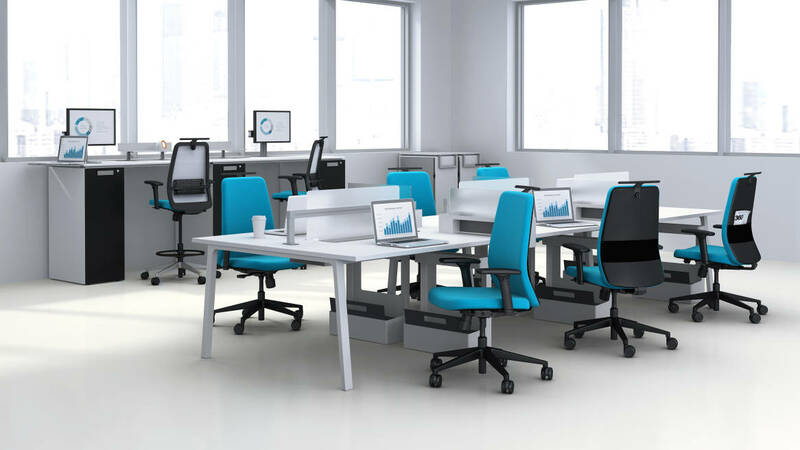 Comfortable and versatile, you can customize it to suit your posture, the task at hand, and the way you like to work. Available in task and high stool versions. Personality integrates smart storage options, making excellent use of space. 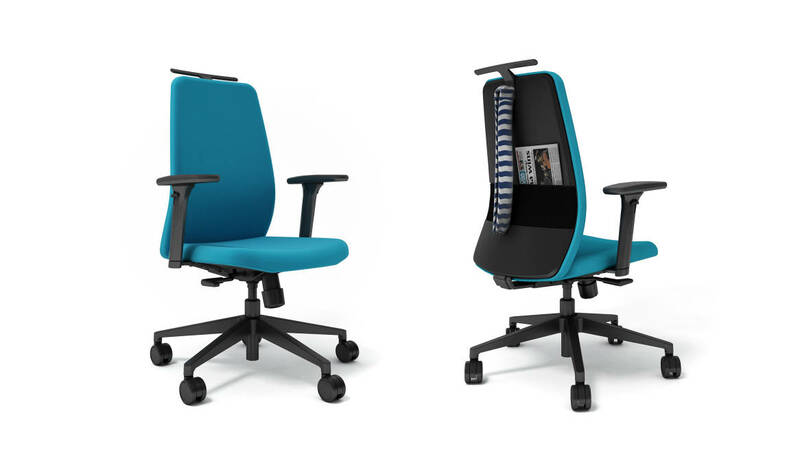 The back belt, hook and jacket hanger allow users to customize the chair to suit both their personalities as well as the way they sit and work. This helps users keep tools and personal items close at hand. Personality combines outstanding ergonomic support with intuitive adjustability. This enables each user to adjust the chair to comfortable suit their body and task in hand. The mesh backrest distributes weight to minimize pressure on the spine while reclining as well as provides excellent air circulation for thermal comfort. Flexibility and movement is critical. While people want privacy for focused task work, they need a solution for seamless collaboration. Creating a solution where sight lines create visual contact is imperative. Additionally, having the flexibility to quickly move between individual task work and teamwork is critical. People Want to Keep Their Personal Items Close. As work and life continue to integrate, people are bringing more and more personal things to work to comfort the body and soul – and to make the personal workplace feel good. When this happens, workers are more productive. While density is a global tension, it is amplified in Asia Pacific. This affects storage and personalization capabilities at workplace, thus, impacting worker satisfaction.